Dubai UAE, February 11, 2019 – Nexans, a global actor in cabling systems and services and an industry leader in umbilicals, will be attending the EGYPS 2019 exhibition and conference on February 11-13. Through several umbilical deliveries in East Mediterranean, Nexans has confirmed its role as a trusted and committed partner in the in the oil and gas industry. This has also recently been confirmed by a recent award of three new umbilical projects in the area. Nexans’ track record of long tie-backs and deep water applications have been key criterias when being awared the recent contracts. “Nexans is committed to supporting the East Mediterranean region in exploring the great potential of the energy business . Over the years, we have supplied umbilical solutions to numerous major projects in the area, including for the West Nile Delta project,” said Jens Kristian Gulbransen, Business Development Manager oil & gas – Nexans Subsea & Land Systems. 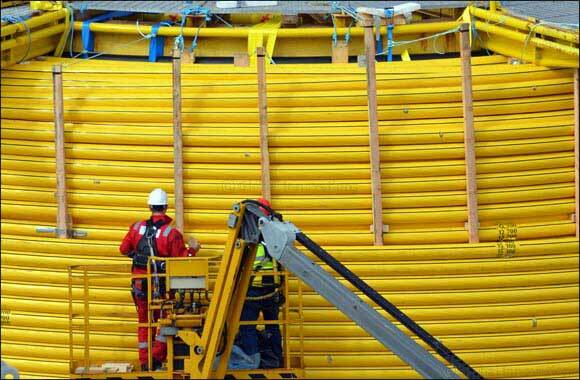 For more information about our umbilicals and what we can do for your business, please visit the Nexans stand. You will find Nexans at stand 2G30, Hall 2, at the Norwegian Pavilion. Launched in 2017, the Egypt Petroleum Show is attracting 20,000 attendees from local & international businesses to identify opportunities from Egypt and Mediterranean’s future project requirements, strategic priorities and gain insights into the wider North African oil and gas sector.